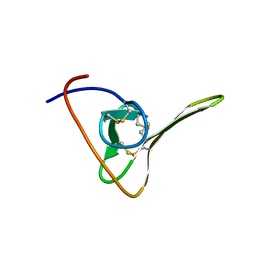 Authors: Szyperski, T., Goette, M., Billeter, M., Perola, E., Cellai, L.
Cite: NMR structure of the chimeric hybrid duplex r(gcaguggc).r(gcca)d(CTGC) comprising the tRNA-DNA junction formed during initiation of HIV-1 reverse transcription. 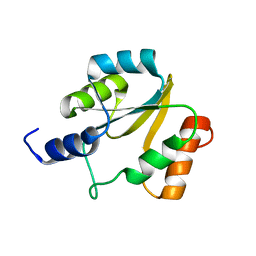 Authors: Pellecchia, M., Szyperski, T., Wall, D., Georgopoulos, C., Wuthrich, K.
Cite: NMR structure of the J-domain and the Gly/Phe-rich region of the Escherichia coli DnaJ chaperone. 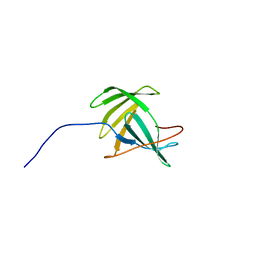 Cite: Solution structure of UPF0350 protein VC_2471. 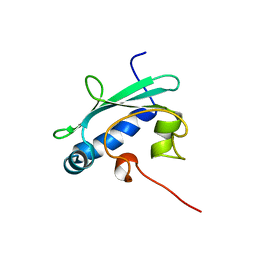 Authors: Fernandez, C., Szyperski, T., Bruyere, T., Ramage, P., Mosinger, E., Wuthrich, K.
Cite: NMR solution structure of the pathogenesis-related protein P14a. 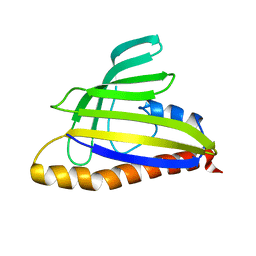 Authors: Johansson, J., Szyperski, T., Curstedt, T., Wuthrich, K.
Cite: The NMR structure of the pulmonary surfactant-associated polypeptide SP-C in an apolar solvent contains a valyl-rich alpha-helix. 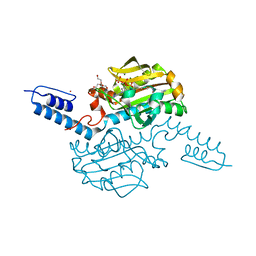 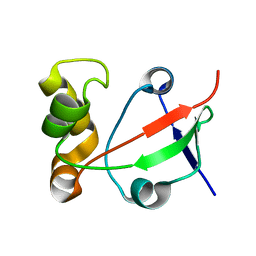 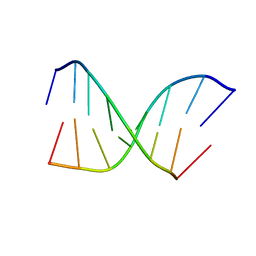 Cite: High-quality homology models derived from NMR and X-ray structures of E. coli proteins YgdK and Suf E suggest that all members of the YgdK/Suf E protein family are enhancers of cysteine desulfurases. 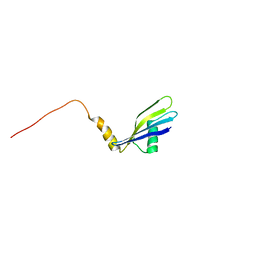 SOLUTION NMR STRUCTURE OF PROTEIN AQ_1857 FROM AQUIFEX AEOLICUS: NORTHEAST STRUCTURAL GENOMICS CONSORTIUM TARGET QR6. 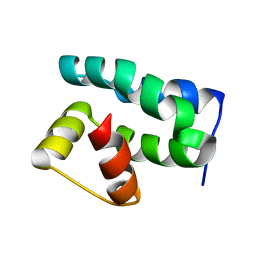 Cite: NMR structure of the hypothetical protein AQ-1857 encoded by the Y157 gene from Aquifex aeolicus reveals a novel protein fold. 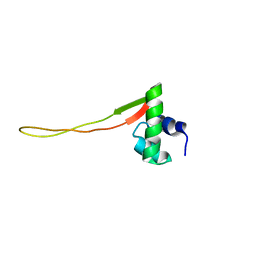 Cite: NMR structure of the hypothetical protein NMA1147 from Neisseria meningitidis reveals a distinct 5-helix bundle. 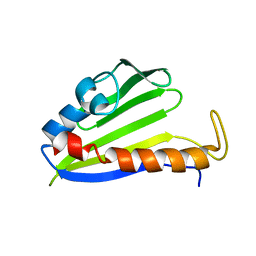 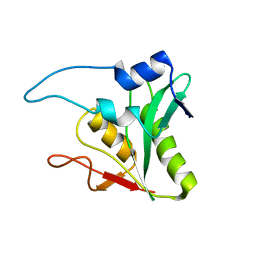 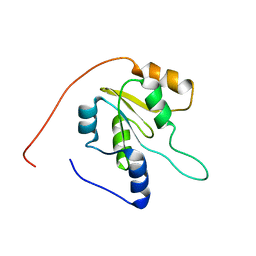 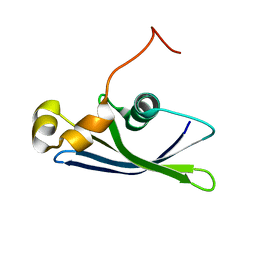 Cite: NMR structure of the 18 kDa protein CC1736 from Caulobacter crescentus identifies a member of the START domain superfamily and suggests residues mediating substrate specificity. 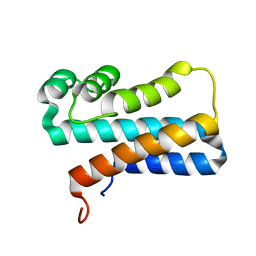 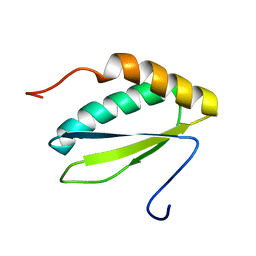 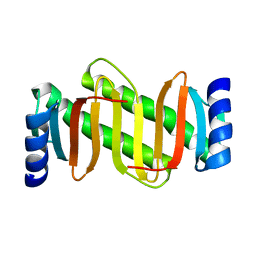 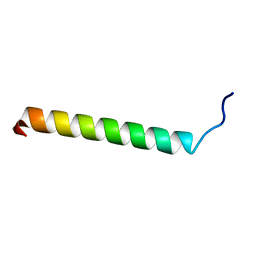 Cite: NMR structure of protein yqbG from Bacillus subtilis reveals a novel alpha-helical protein fold. 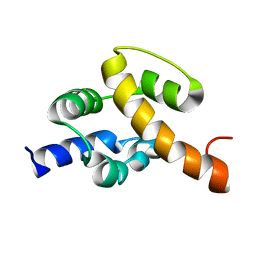 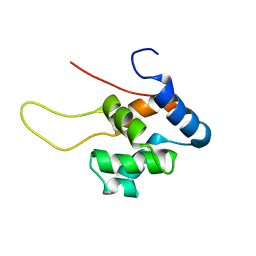 Cite: Protein chaperones Q8ZP25_SALTY from Salmonella typhimurium and HYAE_ECOLI from Escherichia coli exhibit thioredoxin-like structures despite lack of canonical thioredoxin active site sequence motif. 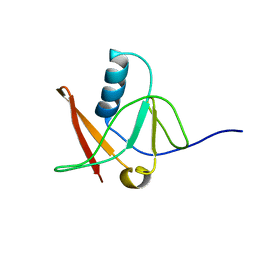 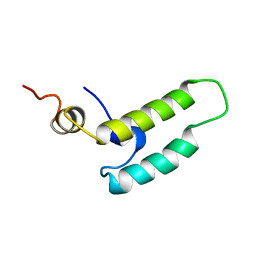 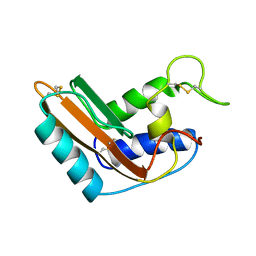 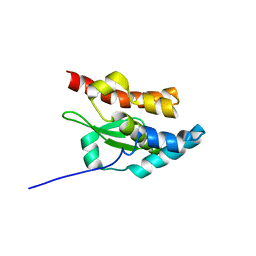 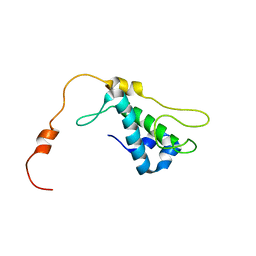 Cite: Solution NMR structures of proteins VPA0419 from Vibrio parahaemolyticus and yiiS from Shigella flexneri provide structural coverage for protein domain family PFAM 04175.